Author: Donleavy, J.P. Set In . 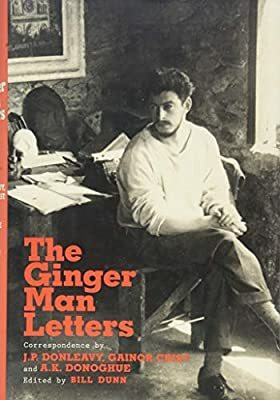 . .
First published in Paris in 1955, and originally banned in the United States and Ireland, J. P. Donleavy’s debut novel has since been recognized around the world as the masterful portrait of a charming and shameless American abroad. Meet Sebastian Dangerfield: husband, father, and American law student at Trinity College in Dublin. Awaiting news of his father’s death and the substantial inheritance to follow, Sebastian barely has time for his studies as he chases women, avoids bill collectors, and tries to survive without having to descend into the bottomless pit of steady work. In the words of Sean O’Reilly, “this man has granted himself the appalling right to say and think whatever the hell he likes. Silver-tongued seducer, hoaxer, thief, violent marauder, fantasist and drunk, he’s a Yank into the bargain, the rank outsider and ‘great gas’ altogether. You cannot help yourself enjoying his outrageous company” (The Irish Times).